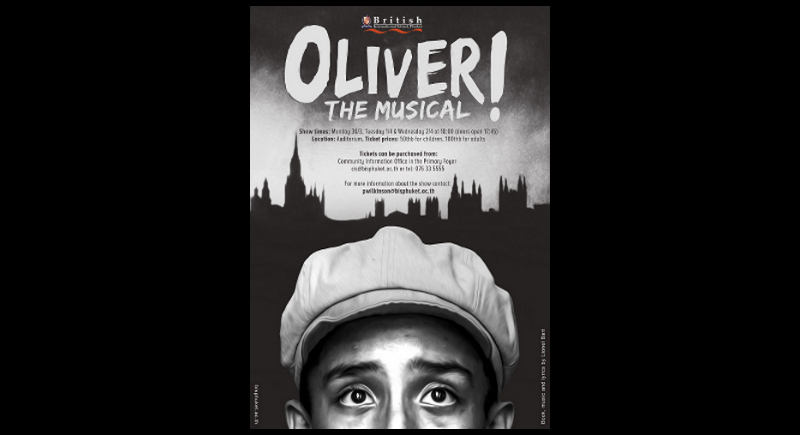 British International School, Phuket (BISP) host their annual theatre production “Oliver!” on March 30, March 31, and 1 April. The play is a twist on the classic Broadway musical based on the Charles Dickens novel, where 9-year-old orphan Oliver Twist falls in with a group of street-urchin pickpockets. The production will take on more stylistic drama devices through various methods such as pantomime, mime and diverse interaction between the actors and the audience. The play was put together by Drama teachers Mrs Wilkinson and Mr Evans, each contributing their own varied skills to the script. Mr Evans specialises in ornate Japanese style methods, whereas Mrs Wilkinson has gone with the more traditional dramatic style of acting. 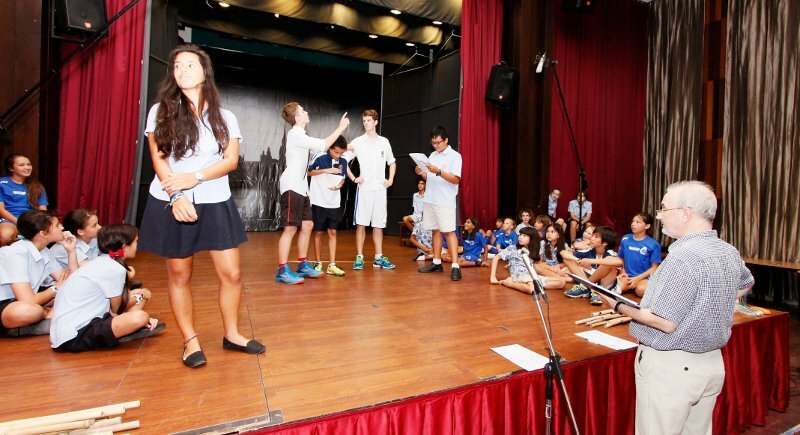 The play involves 15-20 main roles, with an additional 20-30 students in non-lead roles and in the choir. It involves students of all ages right up to Year 13. Lead role Oliver, to be performed by Charlie Greene from Year 9, says “Our director has chosen to use imagination instead of actual props. Harry O’Brien who will perform as villain Bill Sikes, says, “The play involves a lot of team work. We are currently spending a lot of time going through the acts. We’re not allowed to rehearse with scripts anymore now that everyone knows their lines. Mrs Wilkinson focuses on the musical production side. Each of the characters will have an exciting costume and makeup, each with their own specialised costume prop. For example, the character of Bill carries a cane, and Oliver switches from wearing poor clothing and being barefoot to wearing smart clothes and a top hat. The imaginary props are held at certain heights throughout the play, which symbolise elements of the mind. Anjalee Syangbo who plays Bill’s wife Nancy says, “We’re not following the movie. A lot of the songs have been changed, the choreography is different...some characters waltz into ensembles. You can see different personalities between each of the characters. You see the cowardly side of someone, but yet you also see their fearless side. It’s really exciting. “We have also incorporated harmonies into our songs, so the audience can expect an amazing performance,” Anjalee explained. This exciting adaptation on Oliver Twist is sure to be a phenomenal performance.